Citing what it calls “an unprecedented ramp up” to support surging airliner sales at Boeing and Airbus, CFM International says it is confident it can catch up with current backlogs for its Leap engine family. 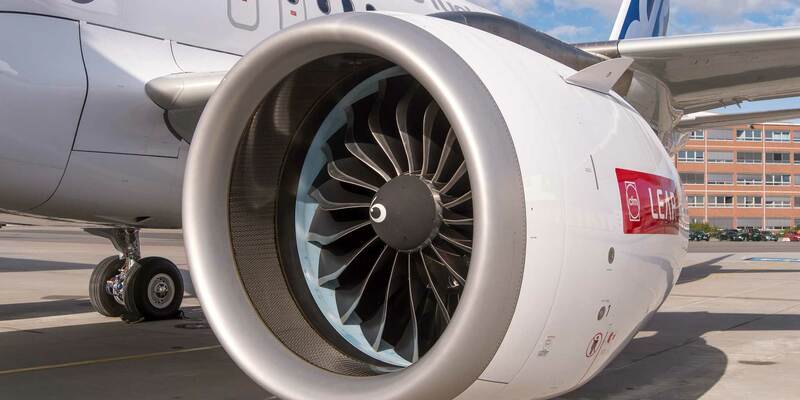 Ten years after it launched the Leap engine program at the Farnborough International Airshow in July 2008, CFM International expects deliveries of Leap powerplants to catch up with the company’s original delivery schedule in the fourth quarter of 2018. Production continues to ramp up to what, by 2020, will be the highest rate ever achieved for any commercial turbofan engine. Acknowledging to AIN that as of mid-June Leap deliveries remained “four to five weeks behind schedule,” Gaël Méheust, CFM International’s president and CEO, added that “with the current flow of deliveries, the plan is to catch up in the fourth quarter…the catch-up point will be in 2018.” He noted that, with Leap, “CFM is in the process of performing an unprecedented ramp-up.” The joint-venture company will have produced more Leap engines after five years of production than it had in 25 years for the CFM56—its first engine family, according to Méheust. The continuing sales success of both the CFM56 and the Leap—CFM had accumulated orders and commitments for 16,300 Leap engines by mid-June, and to date has sold about 35,000 CFM56s—and the continuing rapid production ramp-up of the Leap will make this year a banner year for the GE-Snecma joint venture, on two counts. One is that in 2018 annual Leap production will exceed annual production of the long-running CFM56 family for the first time: CFM expects to produce more than 1,100 Leap engines this year, having assembled 460 in 2017—plus about 1,050 CFM56s. Second is that this year CFM will break the annual commercial-turbofan production record of around 1,900 engines—a record CFM itself achieved last year by beating its own 2016 record. The company will have produced more than 2,100 engines this year, an increase of more than 10 percent over 2017. After this year, production of the CFM56 will drop off markedly, according to Méheust, as the Boeing 737 Max substantially replaces the 737NG family on Boeing’s assembly lines, and the A320neo family largely replaces the A320ceo on the Airbus lines. However, CFM is planning to increase Leap production to at least 1,800 engines in 2019 and to increase it further to more than 2,000 engines in 2020. This will ensure that CFM’s overall production will total well over 2,000 engines in any given year throughout the foreseeable future. At this point, CFM has about an eight-year production backlog for the Leap engine family, even at CFM’s 2,000-a-year expected production rate from 2020 onward, said Méheust. CFM also makes the Leap-1C engine for China’s Comac C919 new single-aisle commercial jet, which Comac hopes to certify in 2020 and which is slated to enter commercial service in 2021. This provides another pleasant problem for CFM: the C919 has accumulated orders and commitments from Chinese carriers for some 1,200 aircraft to date, a total that represents at least 2,400 Leap engines to be built by CFM. But while Méheust acknowledges that the C919 is becoming a commercially significant program, he declined to comment on CFM’s potential production arrangements from 2021 for the Leap-1C—which is internally identical to the Leap-1A but different externally.